Tour to Athens, Delphi, Kalambaka, Meteora, Nafplio & Cruise to Cesme, Izmir, Mykonos, Rhodes, Santorini. For further information and to book this tour, please, contact us at info@greecetours.com. Every Tuesday from April 2th until June 25th, and from August 6th until October 29th. Day 02. Delphi / Kalambaka. Day 03. Meteora / Athens. Day 04. City tour / on cruise. The morning is dedicated to exploring the city of Athens. 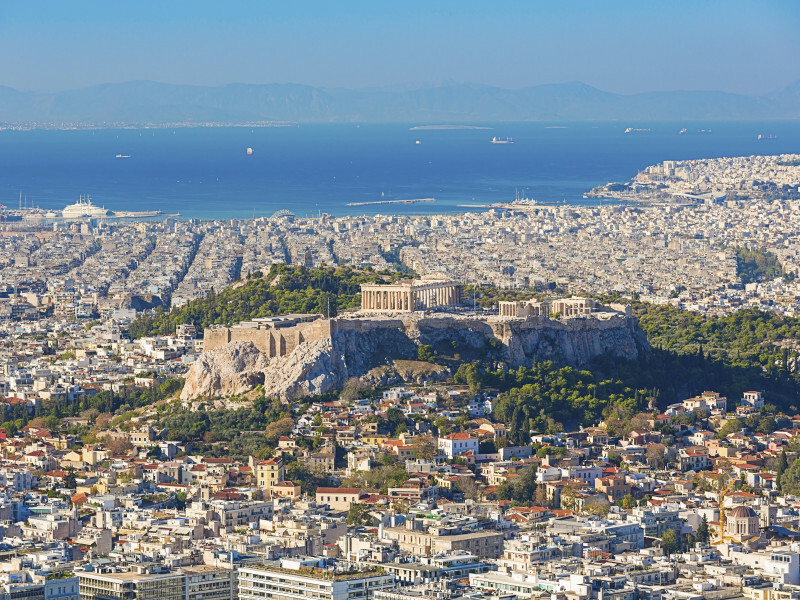 We begin with a panoramic tour to the most important monuments and landmarks of the city including the Panathinaikon stadium, the Zappeion, the temple of Olympian Zeus, Hadrian's Arch, Syntagma square, the Parliament, the tomb of the unknown soldier, Schliemann's house, the Academy, the University, the National Library, and the old Parliament. Next we head for our guided visit to the Acropolis, including the Propylae, the temple of Athena Nike, the Parthenon, the Erechtheion. Later, we continue with a guided visit to the Acropolis museum voted one of the best museums in the world. 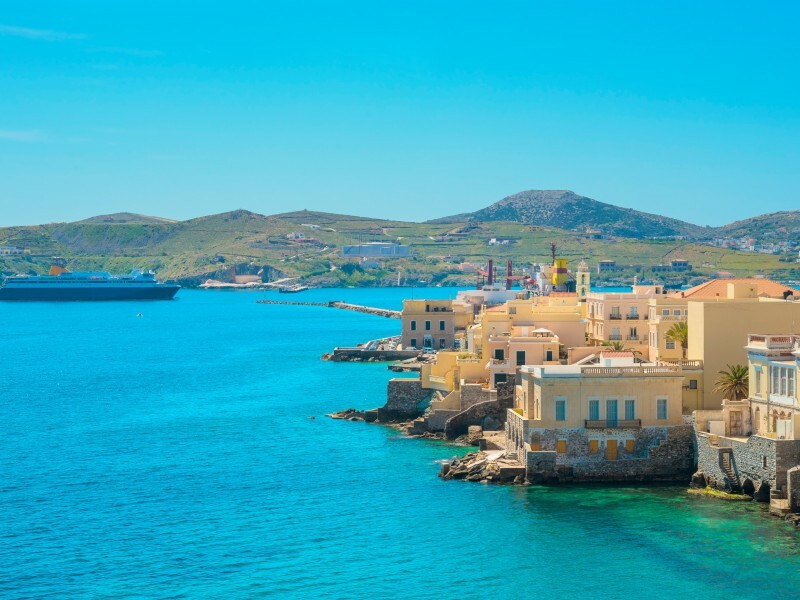 After some free time to explore Plaka, the picturesque old part of the city, you will be transferred to the port of Lavrio to embark on the Celestyal Cruises cruise ship for your 7 night “Euphoric Aegean” cruise. Day 05. Santorini / on cruise. Arrival at the unique island of Santorini early in the morning. During your included tour, you will visit the village of Profitis Ilias and the most popular village of Santorini, Oia, with its stunning views to the caldera and the volcano. Day 06. Izmir / on cruise. Arrival in Izmir in the morning and depart for our included excursion to ancient Ephesus. Re-embark in the afternoon. Day 07. Nafplion / on cruise. In the morning you will be arriving at picturesque Nafplion. You will have the whole day to explore the beautiful town dominated by Palamidi castle with stunning views to the fortified islet of Bourtzi or join optional excursions to explore the Argolic plain with Mycenae and Epidaurus. Day 08. Crete / on cruise. Arrival at the port of Chania in the morning. Today you will be exploring Crete during your included excursion. Day 09. Rhodes / on cruise. Arrival in Rhodes early in the morning. During our included “Medieval” tour, we will visit the Acropolis of Lindos and the citadel of the Knights (Rhodes’ old town). Day 10. Cesme, Mykonos / on cruise. Arrival in Cesme in the morning. Explore the town, go for some shopping, or choose to spend the morning at the beach. In the afternoon we will be sailing to Mykonos, where we will stay until early morning hours. Use the included shuttle buses to live the bustling night-life of the island that attracts the international “jet-set”. Day 11. Lavrion / Departure. Arrival at Lavrion port early in the morning. Breakfast on board. Disembarkation and transfer to the Athens airport or any other port. Apart from the transfer to the port or the airport, no other service is included in the final day of the trip. This is the end of our trip. Kindly, let us know if you need any extra travel services to arrange your return to your home country or, in order to continue your trip to any other destination. The 8-days/7-nights cruise to the Greek islands and Turkey, with all meals, drinks package, and the four above mentioned shore excursions included. Entrance/admission fees to various sites and museums are set by the Greek government, and in case of change, prices will be adjusted accordingly. Currently included entrance fees are based on rates valid as of April 1st 2018. 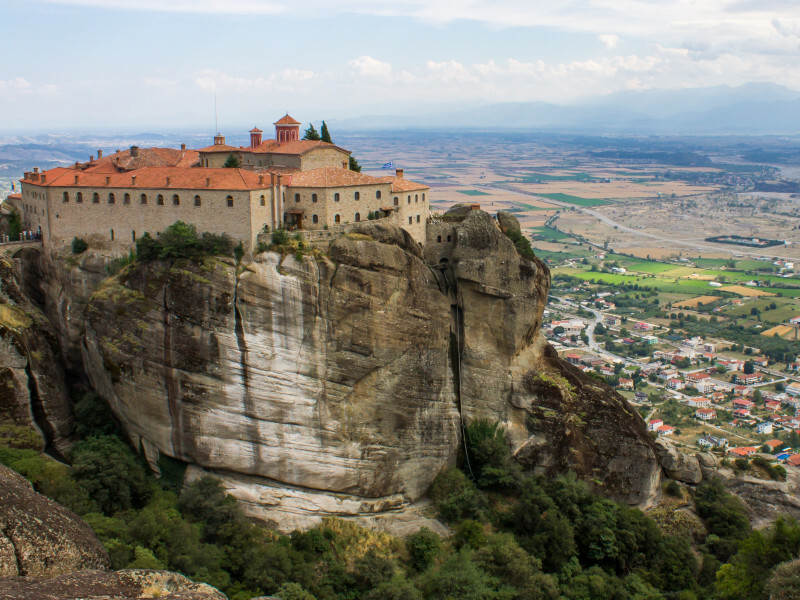 3 Day Tour to Delphi and the rocky mountains of Meteora.